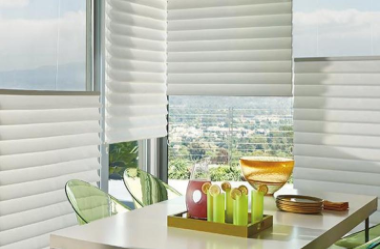 At the Blind & Drapery Showroom, we offer the largest selection of Roman Shades in Agoura Hills, Calabasas, Westlake Village, Malibu, Thousand Oaks and Ventura County. When it comes to Roman Shades, Hunter Douglas sets the industry standard. Their innovative Roman Shade styles, construction and operating systems set them apart as the “gold standard” in window shades. It’s no secret that movie stars, millionaires, and style movers-and-shakers call Malibu home. We can’t “name names” but recently we have seen a trend among our Malibu customers who are choosing Hunter Douglas roman and woven wood window shades for their Malibu mansions. Hunter Douglas is the go-to window shade brand for homeowners who want the very best. Whether you seek a high-tech, motorized, iPhone operated window shade solution – or something more modest – Hunter Douglas offers a wide range of materials, operating systems and price points. Let us come to your home and show you our wide selection of Hunter Douglas, and many other brands, window shades – and bring your personal décor dreams to life! 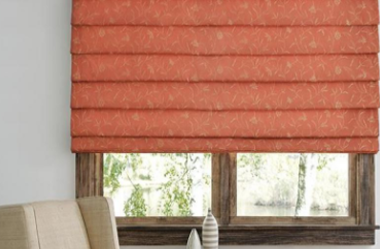 Hunter Douglas’ Alustra® Collection of Vignette® Roman Shades features their most luxurious and high-end styles. Exclusive fabrics and rich textures are dramatically elegant. Alustra® Collection features no exposed cords, for a sleek and refined look. Four inch and 6 inch fabric folds are available. And optional top-down-bottom-up, “easy lift” and/or motorization can be added. Hunter Douglas’ Vignette® Modern Roman Shades are available in either horizontal or vertical orientation. These shades have no exposed rear cords, for a sleek and uncluttered look. Choose from a wide variety of fabric textures and colors. For the ultimate in light control optional top-down-bottom-up and/or”easy lift” can be added. Motorization is also available for the ultimate convenience. Hunter Douglas Design Studio™ Roman Shades come in a wide variety of natural fabrics such as cotton, silk and linen. To further meet your unique decor needs, these Roman Shades are available in four distinct styles, and can be customized with complementary or coordinated tapes, trims and valances. 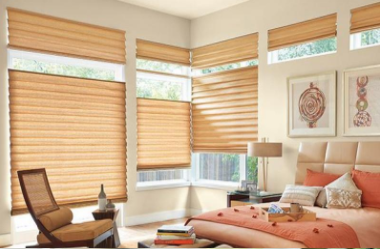 Available in widths of 15″ to 96″ and heights of 15″ to 120″, these shades fit virtually any window. Design Studio™ Roman Shades can also be motorized! Hunter Douglas’ Solera® Soft Shades are constructed of woven and non-woven fabrics for a fluid, sculpted look. Though soft to the touch, these energy efficient roman shades feature cellular construction, that offer both light-filtering and room-darkening options. For even more light control top-down-bottom-up operation can be added. And for the ultimate in convenience “easy lift” or a motorized operating system can be added.